Here are 4 more Renaults that’ll soon be in India. The upcoming compact SUV is codenamed as HBC and will be built on the CMF-A+ platform, which is a modified version of the Kwid’s platform. The segment has gained a lot of traction in India and companies like Volkswagen, Honda and Tata are already developing products in the segment. The Grand Scenic takes on the niche segment of Innova Crysta. The 7-seater European styled MPV looks really good and is very spacious. The car also gets flexible seat options that can be customised as per needs. In the UK market, the car gets the 108 BHP 1.5-litre diesel engine and 130 BH 1.6-litre diesel engine but India may receive only the smaller one. Expected date is around the end of 2017. The company is working on a compact sedan model. The car will be based on the Kwid platform and will be heavily localised to keep the cost down. Codenamed as LBC, the car will draw inspiration from the Kwid hatchback. 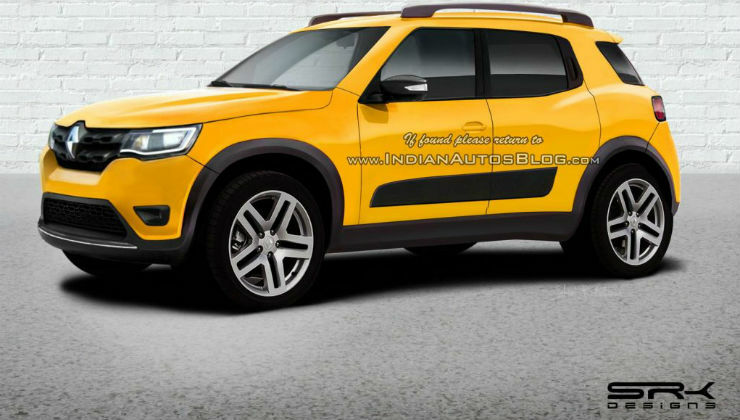 Renault already has a sedan with Kwid-like looks in the international markets known as Symbol. Renault may work to squeeze the same car under 4-meter. The compact sedan is expected by the end of 2020. The Koleos was dropped from the Indian line-up but it will make a comeback soon. The all-new Koleos will be based on the CMF-CD platform and will be bigger than the current version. The SUV will also get premium interiors with modern R-LINK 2 multimedia tablet. The new Koleos will be powered by diesel engines with 130 BHP and 175 BHP of maximum power and will get optional X-Tronic automatic transmission along with 6-speed manual. The Koleos should arrive in India by the end of next year.